Be sure to have your bin ready and waiting with moist bedding! Mail orders are sent via Priority Mail on Mondays and Tuesdays. 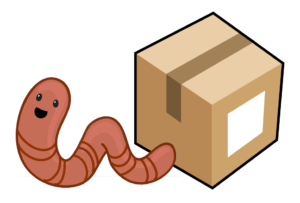 Please alert your mail carrier or make arrangements to pick up your worms from the post office so that they’re not left in the hot sun or freezing cold. Worm care instructions will also be included with each shipment. 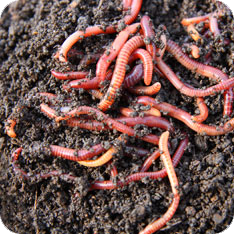 We are currently selling worms in one- and two-pound quantities. One pound equals approximately 1000 redworms. Please contact us if you want to order 3 or more pounds of worms.